LOS ANGELES (AP) The Houston Rockets really didn’t need an exclamation point to their dominating first quarter Wednesday night. James Harden provided one anyway. ”I was just trying to figure out what he was doing,” Harden said. ”I didn’t know. ”I’m thinking, `This is not a good matchup,”’ Clippers coach Doc Rivers said. 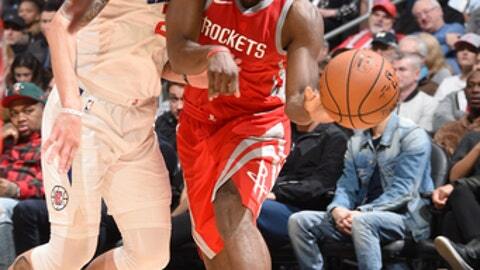 ”We just feel like we can win every game right now,” said Rockets coach Mike D’Antoni. Clippers: Rivers made light of the previous meeting, saying: ”We’ve kind of barricaded all the secret passageways. … We’re going to build a wall. And I’m not paying for it, Houston is going to pay for it.” … F Danilo Gallinari missed his third consecutive game with a bruised right hand. … G C.J. Williams was recalled from the G League. He last played with the Clippers on Jan. 10. Tyrone Wallace went back down.